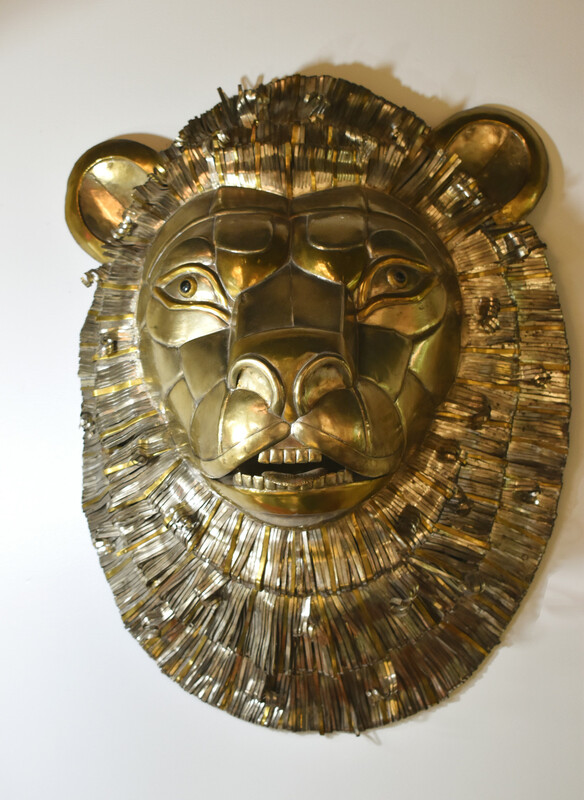 Sergio Bustamante is a Mexican artist and sculptor widely known for his animal works in brass, copper and papier-mâché. 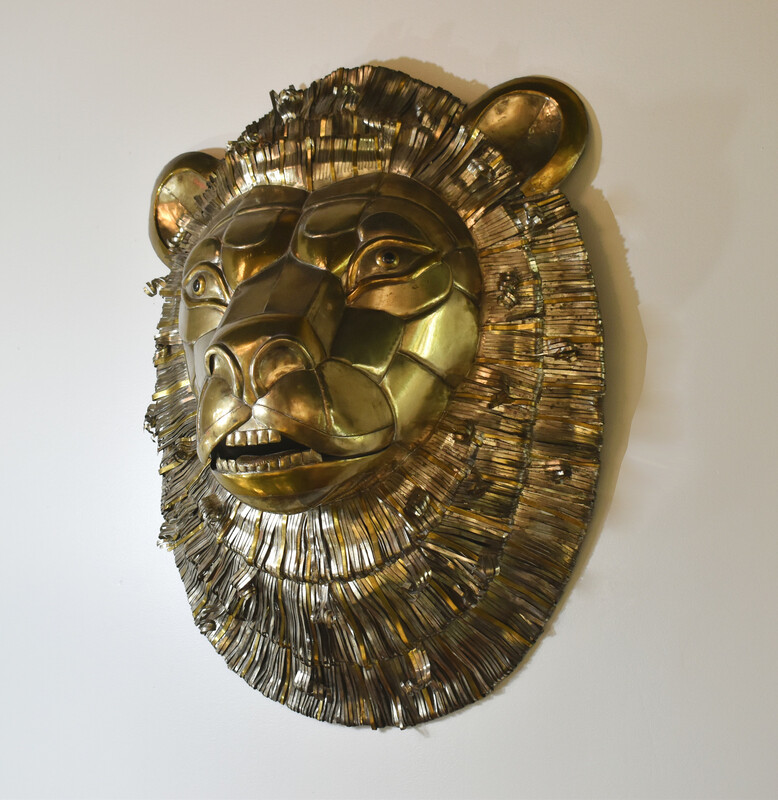 This copper and metal lion head sculpture attributed to Bustamante is a gallant example with its intricate mane and lifelike details. Circa 1970.